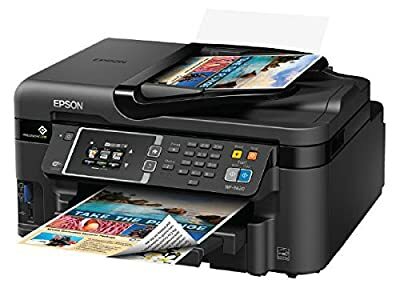 Product prices and availability are accurate as of 2019-04-19 21:16:05 EDT and are subject to change. Any price and availability information displayed on http://www.amazon.com/ at the time of purchase will apply to the purchase of this product. 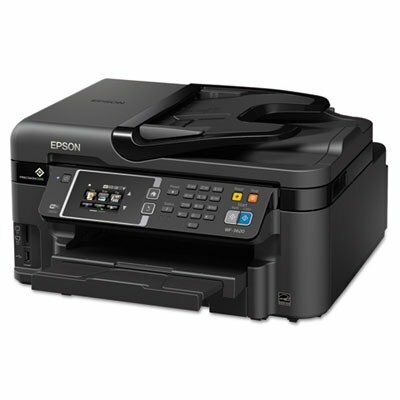 Boost productivity for your small office with the WorkForce WF-3600, a breakthrough all-in-one printer that gives you Performance Beyond LaserTM. 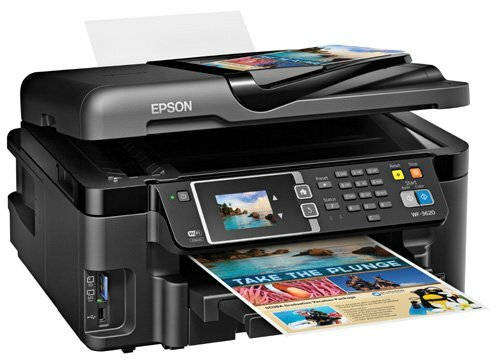 Powered by Epson's new PrecisionCoreTM printing technology, the WF-3620 produces fast, print-shop-quality color prints and laser-sharp black and color text. 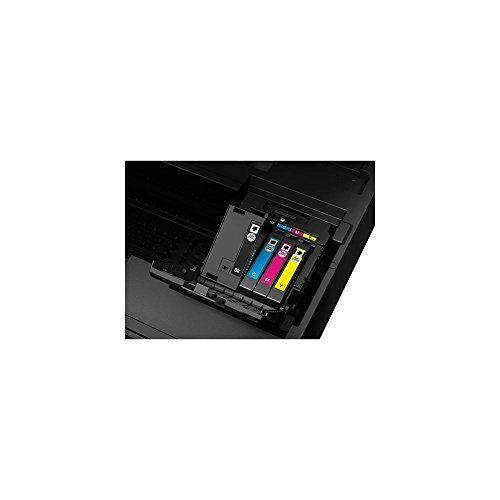 Plus, save on ink; get up to 40 percent lower printing cost vs. color laser. 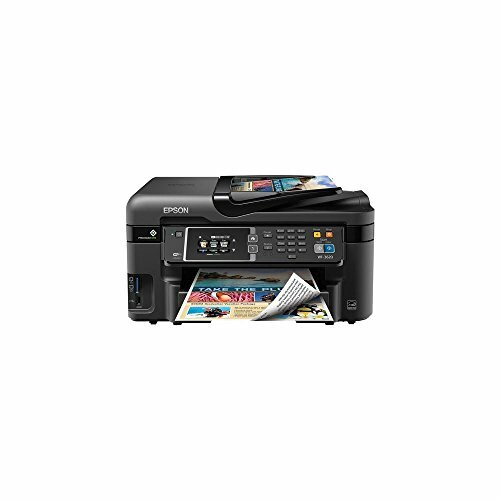 For added convenience, this wireless printer easily prints from tablets and smartphones. Machine Functions: Copy; Fax; Print; Scan; Printer Type: Inkjet; Maximum Print Speed (Black): 19 ppm; Maximum Print Speed (Color): 10 ppm.